“You really should check out Farma. 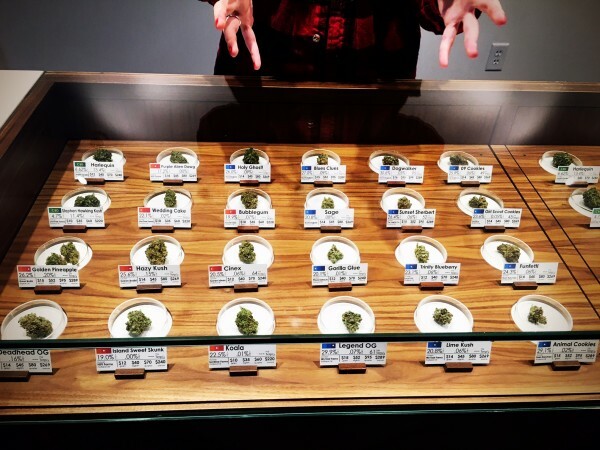 They’ve got a different way of doing things there.” Our friends in Portland know good cannabis, and we never need much convincing to review a new shop, but something he says in passing, walking from the couch to the bathroom, is intriguing. “They have a kind of weird way of classifying things…” We don’t ask any more questions. Better to go and see. It does look a little different from other shops we’ve visited. 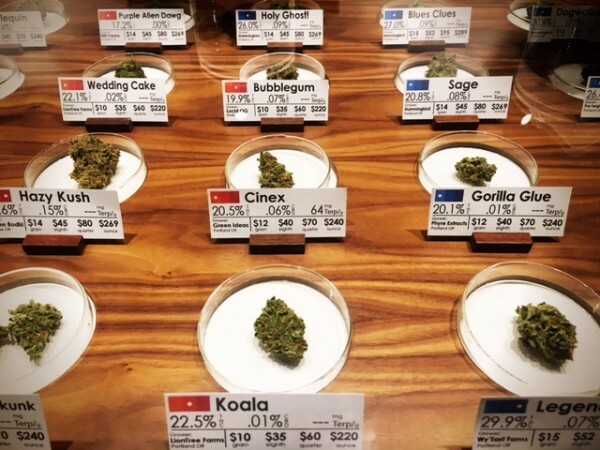 It’s the physical inverse of a lot of the dispensaries in Colorado and Washington, where, for because of taxation regulations, you’ll often wait in a giant square room before being led into to a small, narrow showroom floor. The reception area is clean and cool, the minimalist bright white broken only by the occasional high quality closeup photograph of a cannabis plant and the sliding window for checking in both patients and social use customers. The line is longer than some we’ve seen, which must be a good sign. Portland has an abundance of buying options. You don’t have to wait if you don’t want to, and we don’t have to wait long before we’re let into Farma’s cannabis lab. The waiting area aesthetic expands on the inside. There are a few shelves with books for sale and moss growing horizontally from black frames. 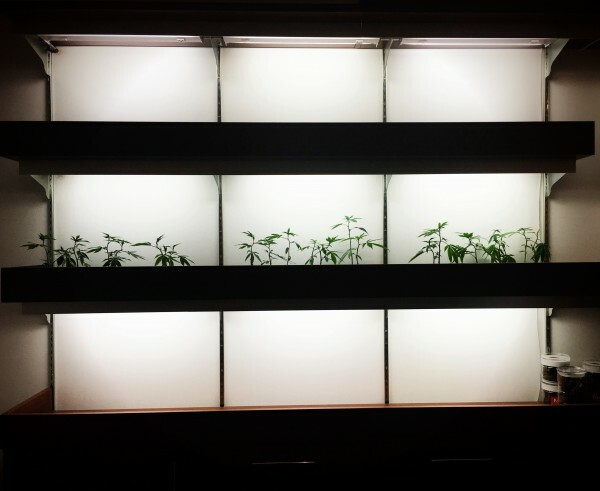 At the back end of the room, an illuminated wall holds plants seemingly sprouted from magic, because you can’t see any dirt. (Though soil is very important to the folks at Farma.) A giant green moss-cross behind the counter perfectly exemplifies Farma’s research-driven, medicine-first approach to cannabis. It looks like a cutting edge museum’s private pharmacy. Mike, one of Farma’s many dedicated and highly educated employees, comes out from behind the counter, smiling, and shakes my hand. He’s been doing paperwork all morning, and he has a lot more paperwork to do, but he doesn’t seem to mind taking a quick break to explain the Farma philosophy. 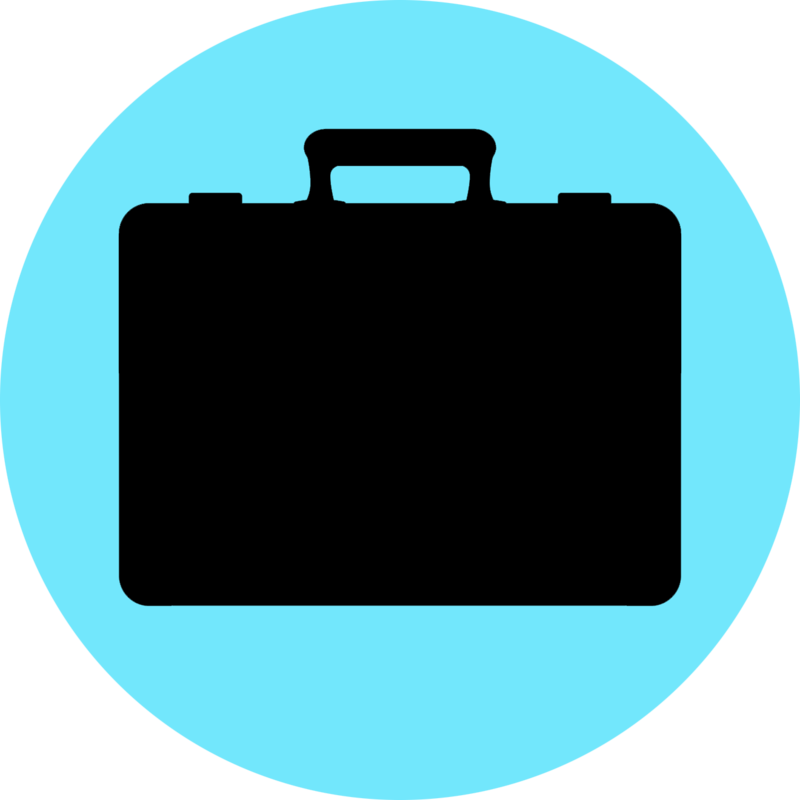 To do this, the Farma team travels the world, collecting data and dialogue on strain origins and cannabinoid profiles. It’s similar to the way a botanist does their research. Or a chef. Going to the source to learn as much as possible. You can tell it’s fun to work at Farma, but it isn’t all just for fun. And here is where Farma differentiates itself from other cannabis dispensaries. You won’t find the common classifications of “indica,” “sativa,” or “hybrid” anywhere. Farma cannabis is classified on a six-point, blue-to-red scale (with a separate distinction for high-CBD strains). The darker the blue, the more likely it is to produce the “sedative” effects often associated with an indica, and the dark red signifies the more “uplifting” strains. It’s an immensely helpful distinction if you’re a first time buyer and a fun new way to shop if you’ve spent your life studying how cannabis is regulated and sold commercially. 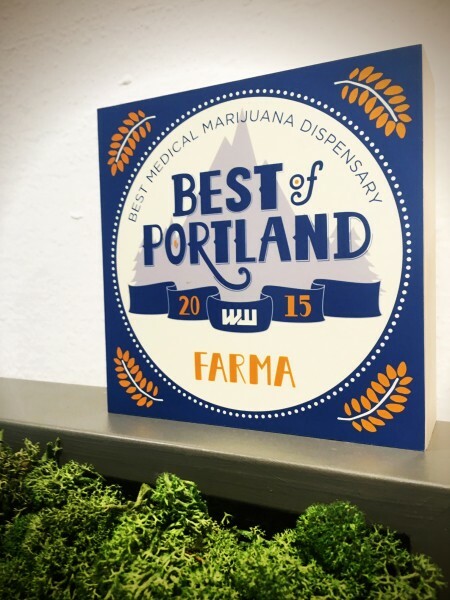 If it seems intimidating at first, the Farma team is happy to answer any questions and seems committed to making the patient feel comfortable, both with the cannabis they sell and the experience they provide. The training required of their employees is obvious. We’ve made it a WRK priority to seek out the most knowledgeable cannabis retailers across the country, and Farma tops our list. They have to keep more information at the front of their brains than most, and they do an amazing job. 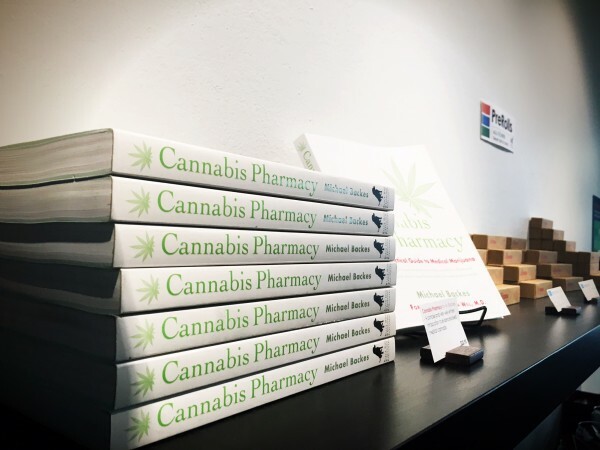 The cannabis conversations you’ll have with your budtender at Farma will likely be some of the most informative and fascinating you’ve ever had. Do you get headaches at night but wake up anxious in the morning? Talk to your Farma budtender. Want to shop solely by terpene profile? Talk to your Farma budtender. Looking to purchase cannabis grown in kale-fed, exclusively Oregon soil? Definitely talk to your Farma budtender. 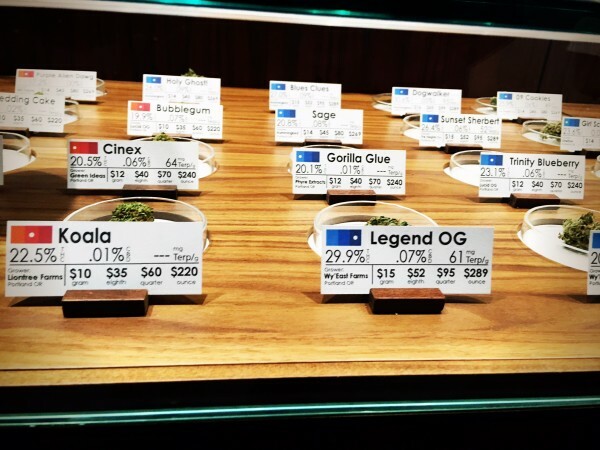 They have in-house strains just for you. Farma in Portland is a truly unique shop. It’s an inspiring place, committed to furthering our understanding of the cannabis plant in an effort to provide people with the best possible relief. What is as commendable as their quest for knowledge is their commitment to sharing what they learn. 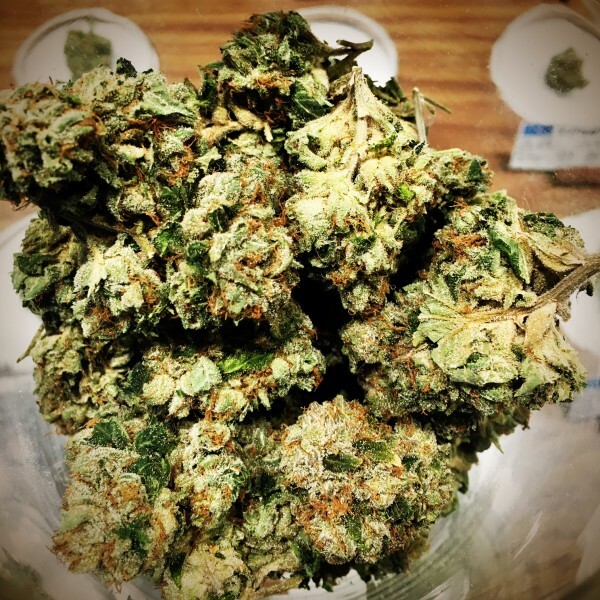 Posted in Oregon, Reviews, Shops and tagged cannabis shop reviews, dispensaries, dispensary reviews, Farma, medical cannabis, medical marijuana, MMJ, oregon, Oregon cannabis, pdx, portland, reviews, shop reviews, shops, social use cannabis, terpenes.